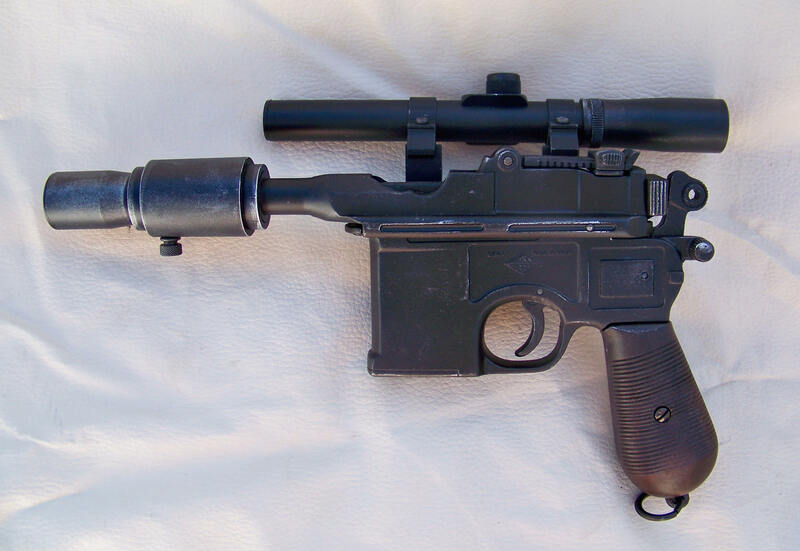 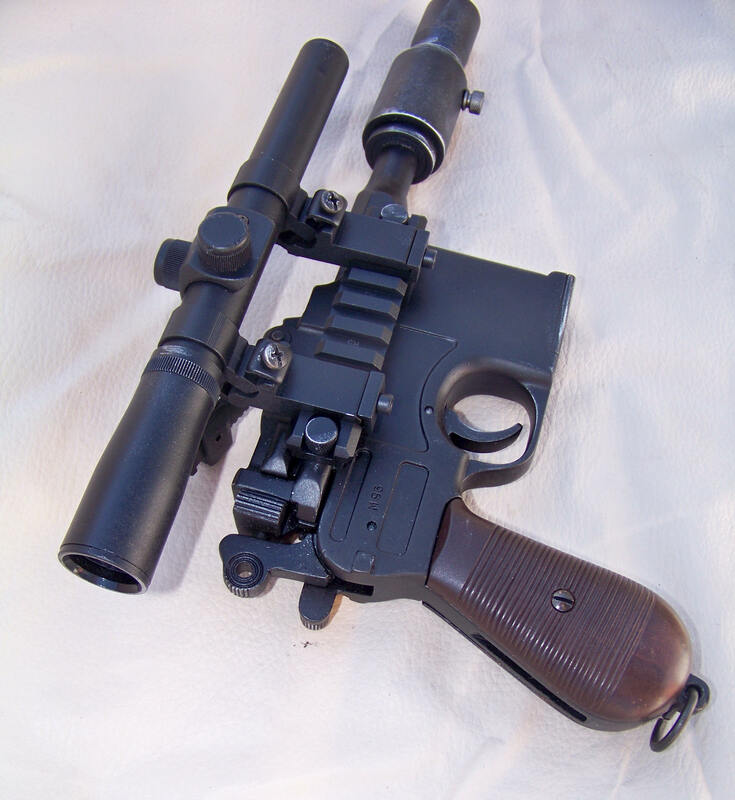 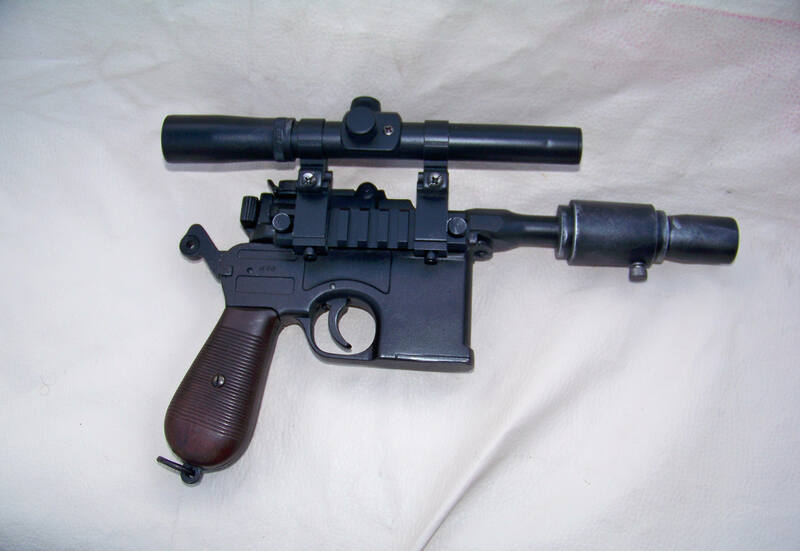 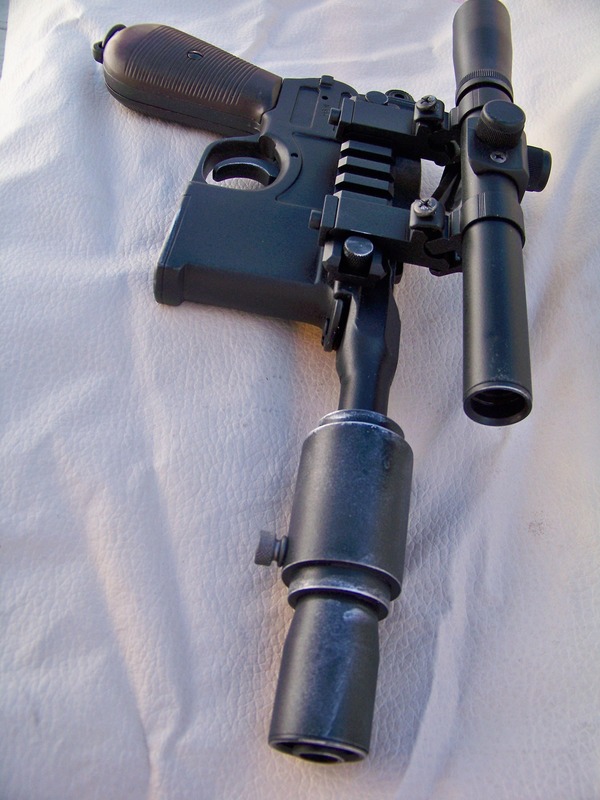 This is a representation of Han Solo's DL-44 from the Star Wars Sagas. 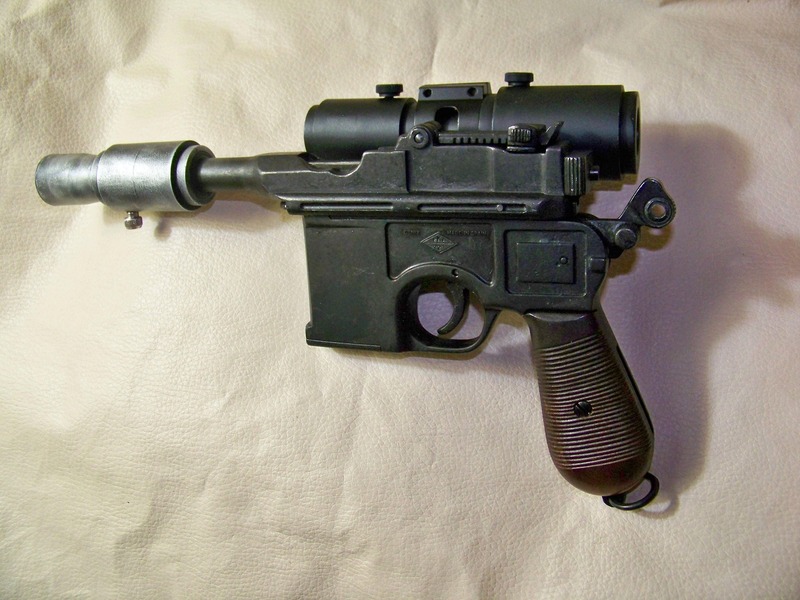 It is not intended to be an exact replica but a very close facsimile. 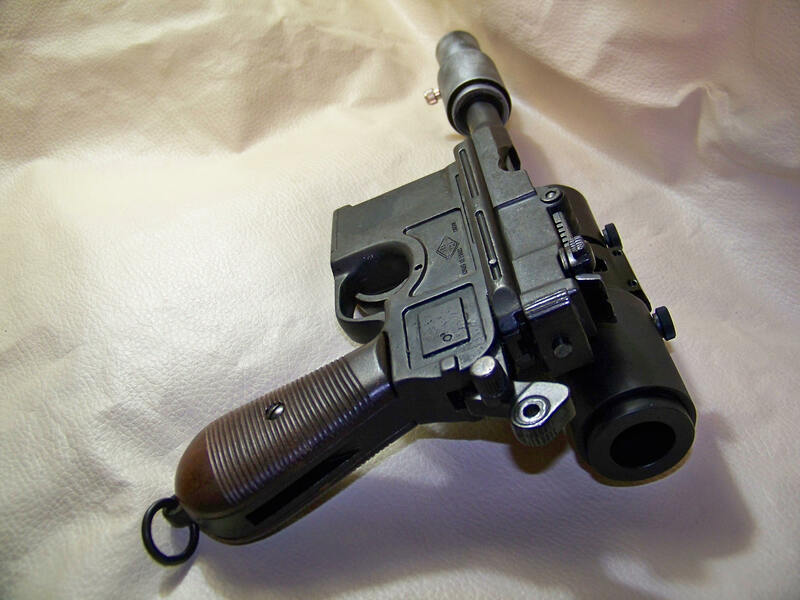 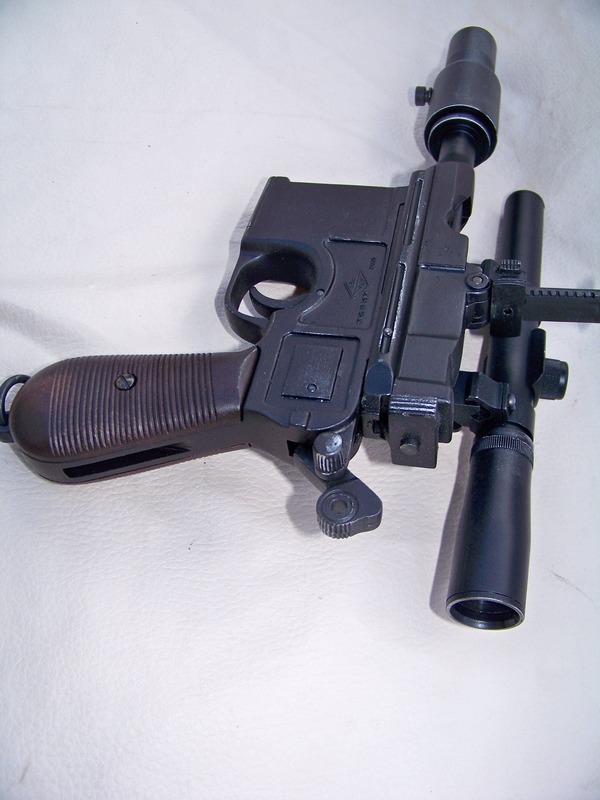 It is composed primarily of metal and was a c96 Mauser Replica before modifications were added. 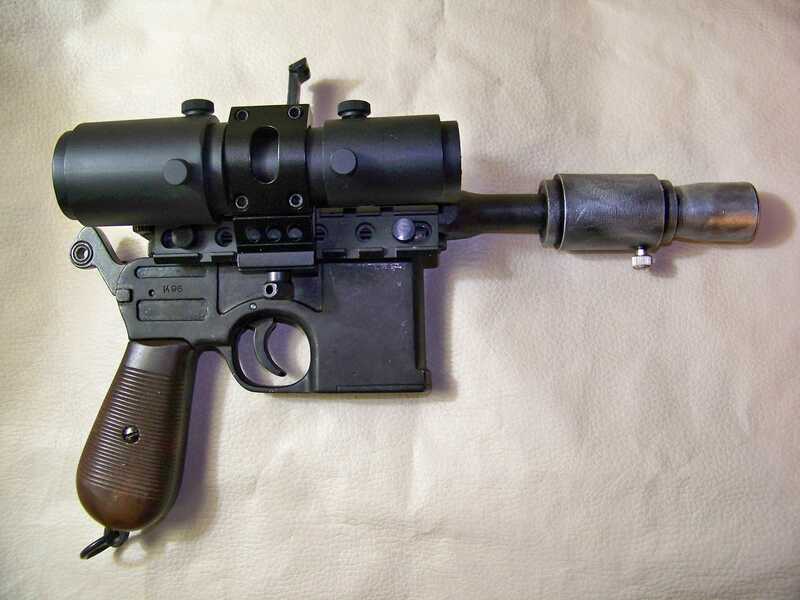 The smaller long scope version(more like the original version) is an actual working scope. 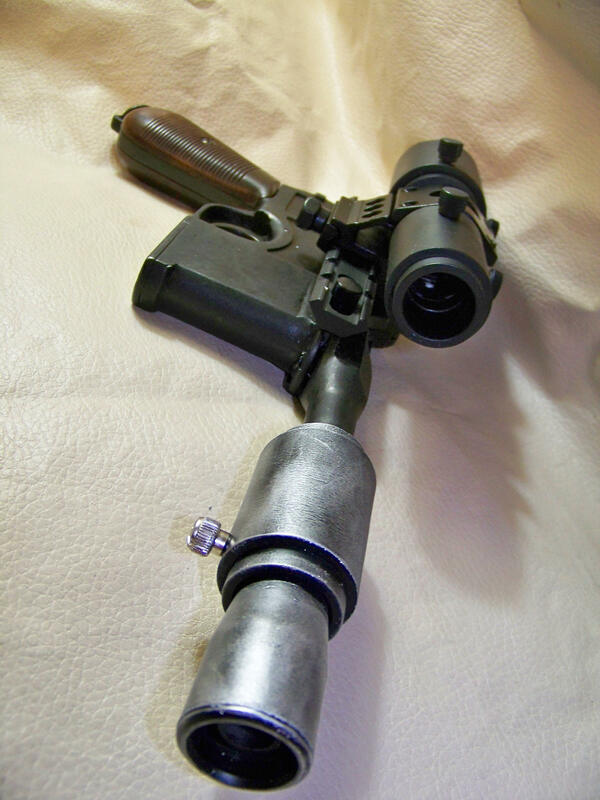 The larger short style is made from PVC and has internal lenses but is non-functional. 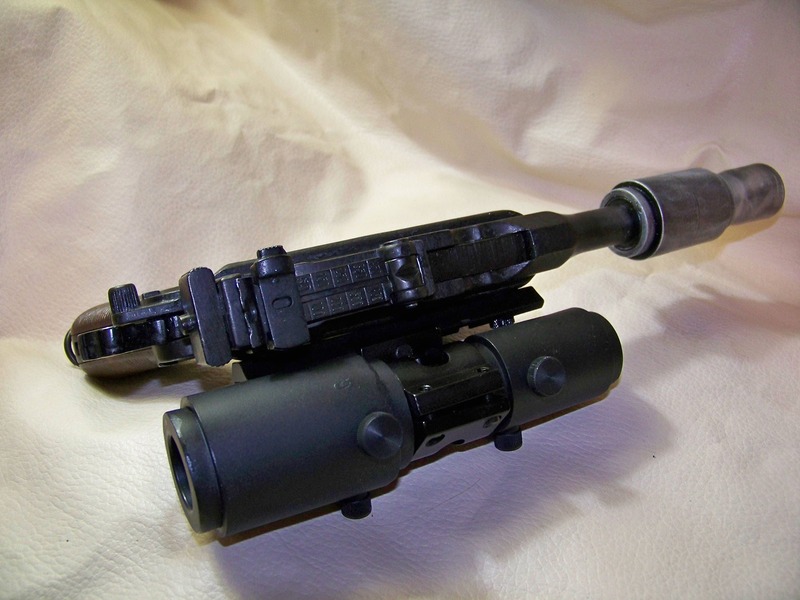 Both are securely mounted to the side of the pistol with a picatinny rail and scope mounts.